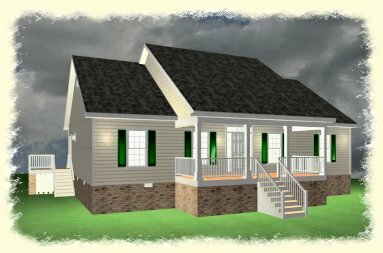 Single Story Home Under 2500 Sq.Ft.-TJO051020-Carolina Coastal Designs, Inc.
Total Area: 2195 Sq. Ft. This charming 3-bedroom cottage is situated on a wooded lot in Boiling Spring Lakes in North Carolina. 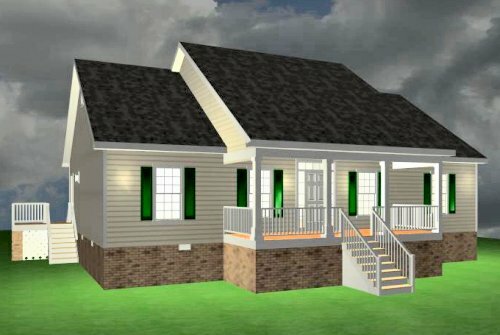 A southern style covered porch welcomes the homeowners into a spacious central living room. The dining room is set behind the living room and adjoins the kitchen via a snack bar counter. There are also French doors that open from the dining room onto a large open deck for outdoor enjoyment. 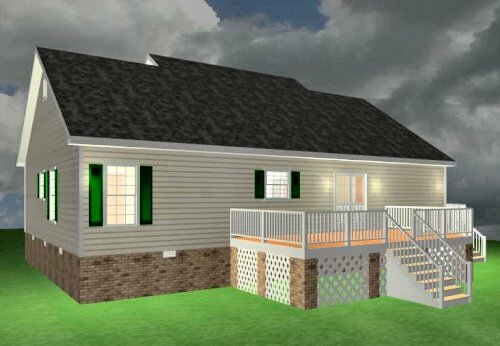 A convenient laundry room, with a storage closet and a pantry, is situated off the dining room and also opens to a convenient side sundeck with a dual staircase leading to the side and rear yards. The master bedroom suite is privately set on the left side of the house and has a separate vanity area and a walk-in closet. Two guest bedrooms and a full bath complete the living space in this lovely home.